Andrew grew up at Town Centre starting his education in our Pre-School program in 2000. An active participant in all aspects of the TCPS community, Andrew excelled at sports and played on numerous of the school’s competitive sports teams. Equally at home on the stage, Andrew was a predominant actor in our annual High School plays. 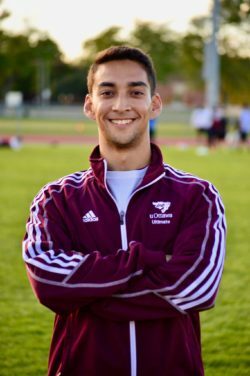 Andrew is currently continuing his studies at the University of Ottawa working towards a Masters of Science and Human Kinetics. 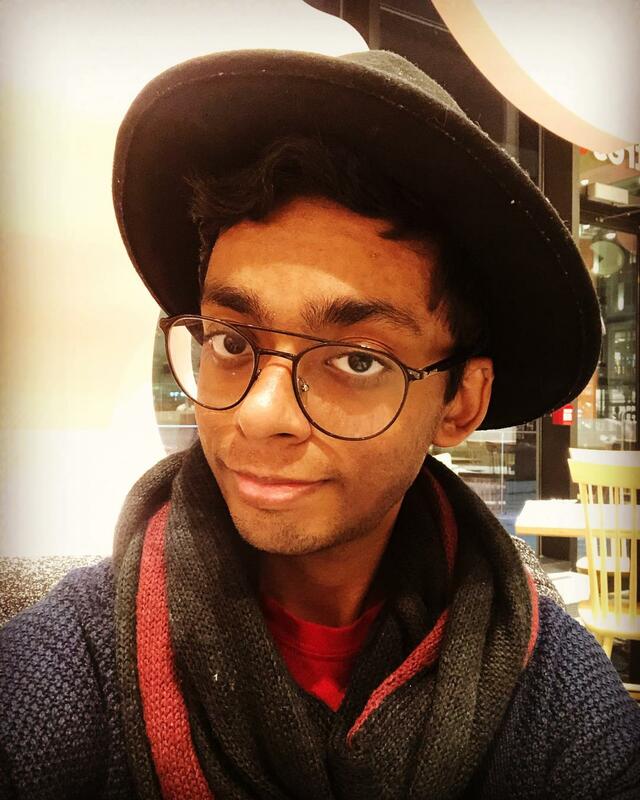 Upon graduation in 2019, Andrew plans to continue studying medicine in Canada and abroad. We wish Andrew all the best in his future endeavours. To learn more about miniature painting, visit Tristan’s Web site at http://www.fourrealmsofchaos.com/. Simon Yoo graduated in June 2008 and attended McMaster University for the 2008-2009 academic year. 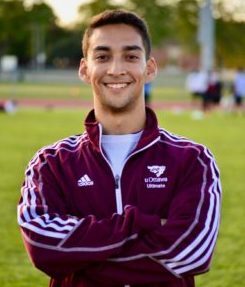 He would later transfer to the University of Waterloo and graduated from the Kinesiology program at the University of Waterloo in 2013. 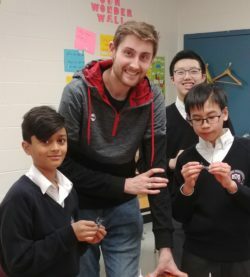 After discovering a passion of teaching, he began teacher’s education in 2015 at OISE University of Toronto. Since then, he’s been a teacher in England and local international schools. In the fall of 2017, Simon Yoo returned to Town Centre Private Schools joining the staff as a High School Chemistry / Science teacher. A source of inspiration and popular with the students he now faces new challenges with daily classroom activities working along side his former teacher that are now his peers. He is a proud alumnus of TCPS and can’t seem to leave these fond high school memories behind. We wish him luck as he makes new memories of high school as an educator leading future generations to success. I hope all is well with you guys. When we spoke last, you mentioned that you wanted me to keep you updated on what I’ve been up to, and some folks in the main office were interested in having me back for career day, etc. Since I came by in January, life’s done a bit of an about-face (in the best way possible). I was slated to begin work in brand management at L’OrÃ©al Canada’s main HQ in MontrÃ©al in May, but I remember mentioning that I was also going to China for a competition. Long story short, I ended up winning that competition and out of 10,000+ teams I’m now in the Global Finals (Top 6) of the Hult Prize (we’re under ‘Shanghai’), which is the world’s largest social entrepreneurship competition, run by Hult Business School and the Clinton Global Initiative. In September we will be pitching our idea – which revolves around combating non-communicable diseases (NCDs) in urban slums – for $1mm in seed funding from President Clinton, Mohammed Yunus, and others. To give you a brief overview, our business, called REACH Diagnostics, revolves around using simple urinalysis tests as a screening and monitoring tool for urban slum dwellers suffering from diabetes. Just thought I’d give you guys a heads-up as to what’s going on. Any successes that I’ve achieved and will achieve are a direct result of the great educational foundation I’ve had, and over 14 years, TCMS/TCPHS played a vital role in my formation. Let me know if you have any questions. Looking forward to hearing what’s new at the school and the initiatives you guys are launching! Ameen is entering his third year in the Bachelor of Health Sciences (BHSc.) program at the University of Calgary. When he left Toronto, he was considering a career as a physician. He believed that a career as a physician would be devoid of innovation and discovery. But after arriving in Calgary, and progressing through the BHSc program, he decided to strive towards a career as a physician-scientist. Physician-scientists carry both a medical qualification and a scientific doctorate; they focus on conducting translational research focused on bringing therapeutic techniques from the laboratory bench to the ward bedside. A career as a physician-scientist appealed to him as he could simultaneously treat patients and engage in medical research. For the last two years, he has worked at a medical research laboratory in Calgary, AB. 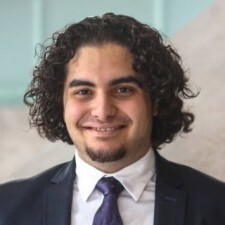 Currently, he is conducting his own clinical research project to investigate the brain blood flow and breathing responses to low-oxygen high-carbon dioxide breathing environments in obstructive sleep apnea (OSA) patients. Apart from this OSA project, he is involved in projects focusing individually on the cerebrovascular effects of intermittent hypoxia and the neurophysiological impact of aerobic exercise in older adults. Also, he completed laboratory observership rotations in the areas of high-altitude physiology and cardiovascular physiology. His scientific knowledge is primarily in integrative human physiology, with additional expertise in sleep medicine, cardiovascular physiology, critical care medicine, neurological imaging, and exercise physiology. 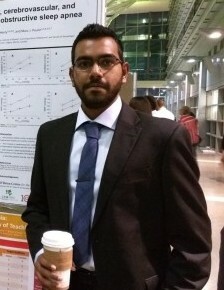 In the future, Ameen will aim to apply his existing knowledge to better elucidate the biological mechanisms governing cerebral circulation in humans. Through independent investigations of hemodynamics, respiratory physiology, and vascular biology, Ameen intends to identify the key regulatory pathways of cerebral blood flow. His work will hold strong implications for the prevention and treatment of cerebrovascular disease. Ameen’s immediate goal is an acceptance to a combined MD-PhD program; the University of Calgary Leaders in Medicine program offers an excellent opportunity in this regard. Ideally, his career would consist of administering clinical care, conducting research in a laboratory, and teaching students at an academic institution. TCPHS is proud of Ameen’s incredible accomplishments in the years since he has graduated. We look forward to hearing more about how Ameen’s career continues to progress. 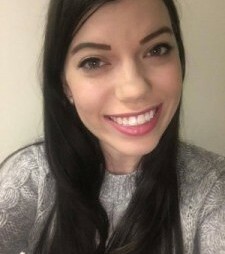 Last June, Brooke graduated from TCPHS and accepted Western University’s offer of admission to their Bachelor of Music in Vocal Performance programme. In a conversation with her TCPHS Director of Alumni, she underscored some of the benefits of her studies at Town Centre. As an Arts Stream student, Brooke excelled in subjects like English, History and Geography. She aced her Advanced Placement (AP) exams in all three subjects and now benefits from making the most of Town Centre’s Arts Stream programme. Western University translated her AP credits into two full-year credits, the equivalent of two full-year courses or four half-year courses. As Brooke explained, “there is no doubt in my mind that AP was hard but totally worth it. University is a lot harder than high school, but because I put hard work into AP, university is a little less stressful.” She also thanked her teachers for the support they provided during her studies. We thank Brooke for taking the time to update us on her experience since leaving TCPHS. One day we hope to hear Brooke perform.